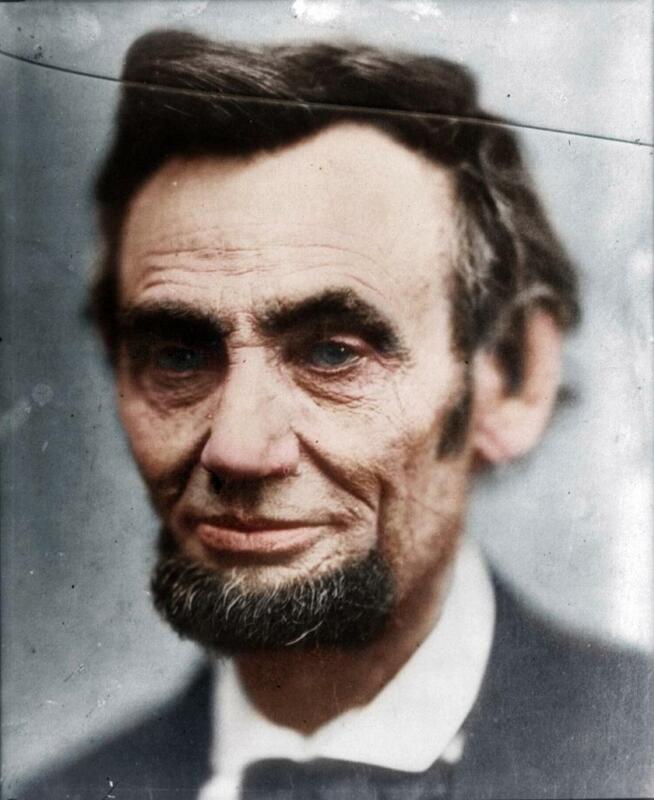 These fascinating colorized photos bring to life the men who assassinated Abraham Lincoln. The striking images, featured in new book ‘Retrographic: History in Living Colour,’ by author Michael Carroll, show three of the co-conspirators involved in Lincoln’s assassination looking pensive with their hands bound, with another showing a fourth man who has not been restrained. They show the conspirators handcuffed before their trial alongside what is thought to be the last photo of Lincoln before his death. 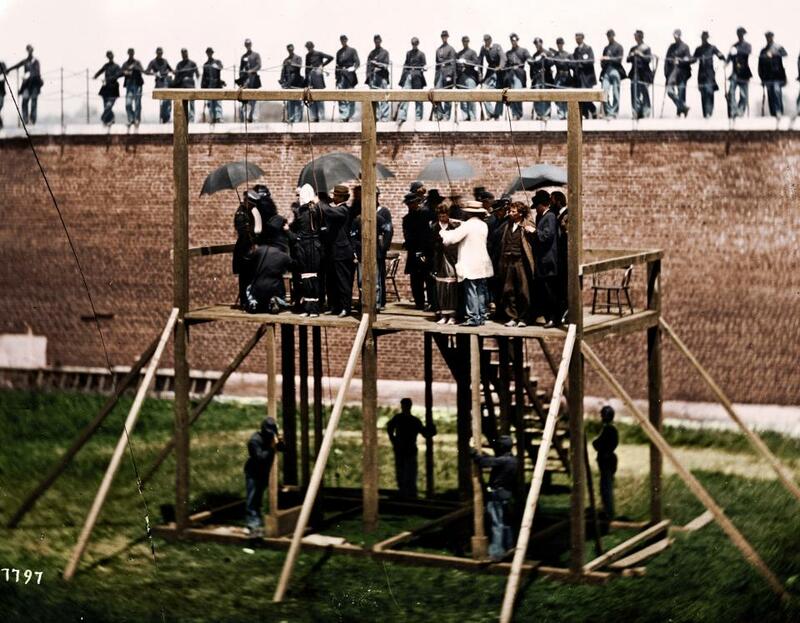 Another colorized photo shows the moment four of the plotters were hanged in front of a crowd at Fort McNair. The 16th President of the United States was shot dead at the theater by well-known stage actor John Wilkes Booth on April 14, 1865. 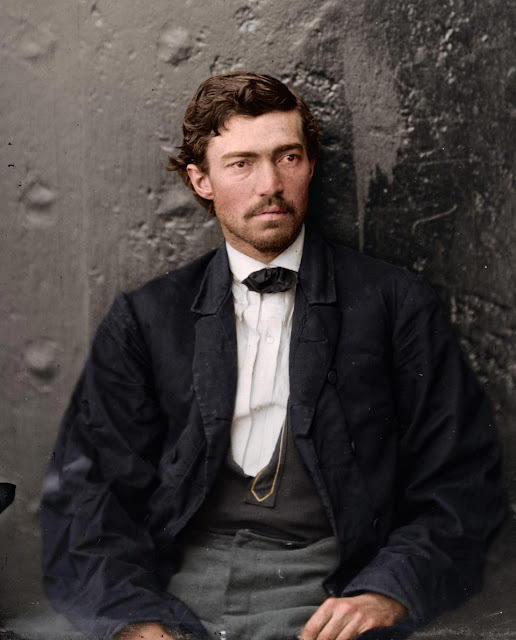 Conspirator Lewis Payne tried to kill the US Secretary of State. 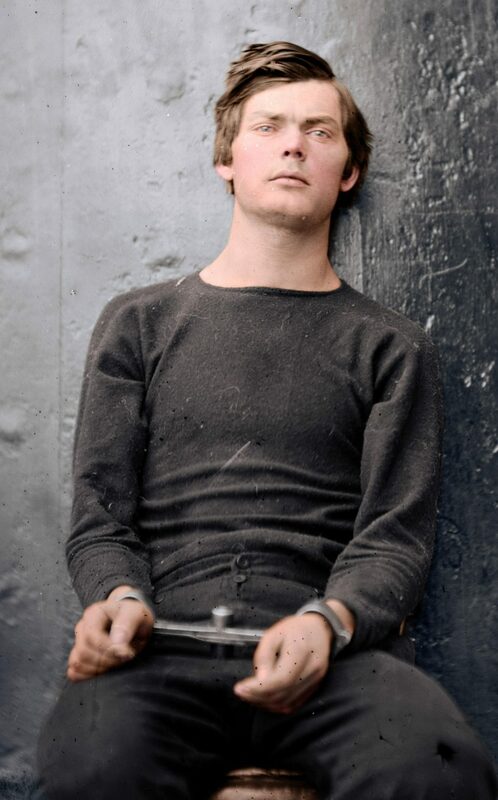 Samuel Arnold was mysteriously pictured without handcuffs. The conspirators being taken to the scaffold on July 7 in 1865. Edmund Spangler had reportedly been responsible for helping Booth escape. 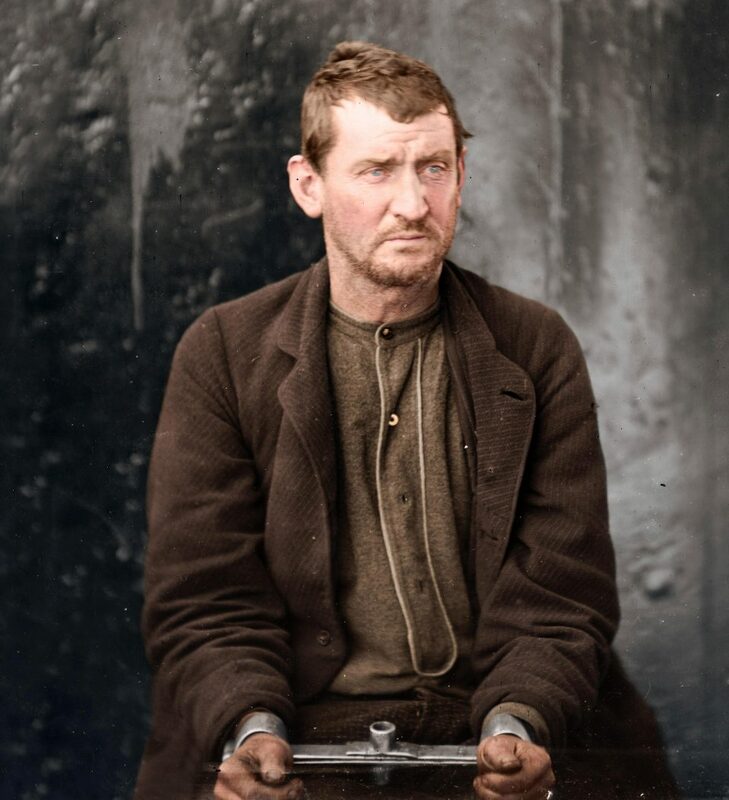 David E. Herold following his capture. He was sentenced to death and hanged with three other conspirators. 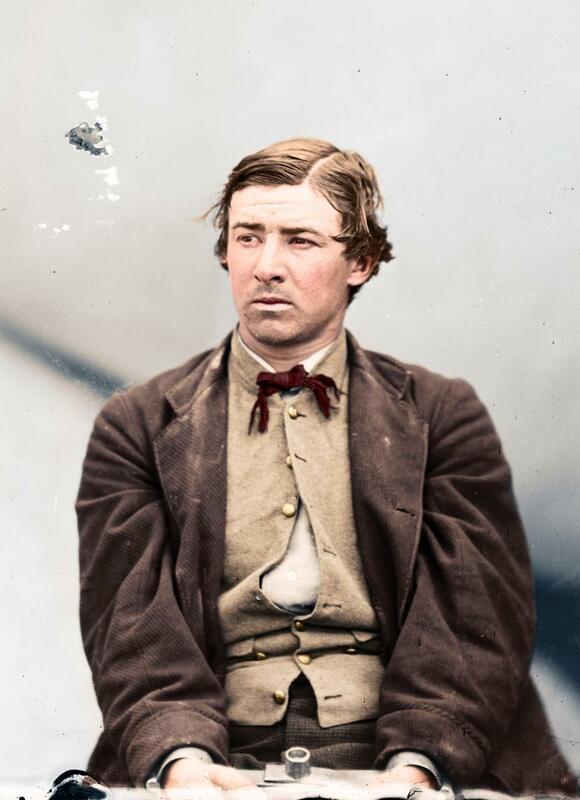 Lincoln died just over a month after the Confederacy had surrendered to the United States.